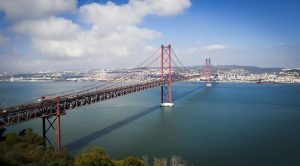 On Wednesday 14 November, Lisbon will become the European capital of renewables. On this day, the research project EU-SysFlex will hold its second General Assembly in Portugal’s Electricity Museum. It is hosted by the utility company Energias de Portugal (EDP), one of EU-SysFlex’s consortium members. On the margins, EU-SysFlex’s Project Management and Advisory Boards will also convene. The consultations will mark the first year of the research project developing system and flexibility services for a grid with a high penetration of renewables. EU-SysFlex was launched in November 2017 when its first General Assembly took place in Dublin, Ireland. Funded by Horizon2020, the research project will run until 2021. The consortium is made up of 34 organisations including transmission and distribution system operators, technology providers, aggregators, consultancies as well as academia and research centres from across 15 countries. The General Assembly in Lisbon will take stock of the technical achievements including progress in the identification of the needs of the European electricity system with more than 50% of renewables. The project was introduced earlier this year in the European Parliament with its objectives presented at such events as SET Plan 2017, Innogrid 2018, EU Sustainable Energy Week, Eole Industrie 2018 and Horizon2020 Energy info day. The intent of EU-SysFlex is to address system operation challenges associated with integrating 50% renewables in the European electricity system. “The primary challenge European electricity system operators will face is how to integrate wind and solar on a scale never seen before. If we are to meet our renewable agenda, the vast majority of our future renewable energy will have to come from these technologies. This will fundamentally change the dynamics on the system and we need new innovative solutions to ensure our system remains resilient and stable on our journey to decarbonisation and Energy Union. EU-SysFlex is all about providing system operation solutions to ensure a resilient and stable system of the future,” said EU-SysFlex Project Director John Lowry of EirGrid, the Ireland’s transmission system operator and EU-SysFlex’s project coordinator. EU-SysFlex is funded by the EU framework programme for research and innovation Horizon 2020 under the call H2020-LCE-2016-2017. Watch EDP’s new #60SecondsOn video about EU-SysFlex.